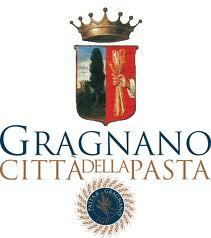 The town of Gragnano is universally known as the “Citta’ della Pasta“. The brand has become so important that it looks like everybody is making pasta in Gragnano. (Like everybody in the world is growing San Marzano Tomatoes!) This is going to stop, and soon. The Town of Gragnano just received IGP status from the Italian Government. With all that the new Italian political ministers have to do these days, that they are working on IGP status for Gragnano pasta shows you how important this acknowledgement is. From now on, all the impostors using “Gragnano Pasta” in their labeling may be prosecuted by law. To celebrate this historical moment, Sergio Faella of Pastificio Faella, the oldest artisanal Pastificio in Gragnano, will be in NYC next week where he will meet journalists and chefs at the Italian Culinary Academy. He will explain why his Pasta is the best Gragnano pasta in the world!!! Grazie Sergio, have a wonderful trip and stay in NYC! Way to start the new year!!! Good news! The great pasta is indeed worthy this special status, and I wished I could have met Sergio while he was here. I hope his stay was nice and he enjoyed it. I definitely am enjoying his pasta! Faella Bucatini are my super favourites, they are just absolutely perfect! Wonderful news!! Gragnano is on the itinerary for our culinary tour of Campania starting Sept 15th, we’ll be going to Faella Pasta for a tour and I can’t wait to get back to the area! Is this pasta made ONLY from wheat grown in the region OR…. is it made with wheat thats been brought in from outside Italy ? WHERE is the wheat for this pasta grown please ? we produce with national durum wheat, in particular grain of Puglia, but also use percentages of foreign meal, from Canada. we will be happy to welcome you into the Pasta Factory in September. Keep me informed well in advance so as to be Gragnano when you come. You’ll see the ns. handicraft production, manual packaging, I will introduce our historical memory of Gragnano pasta: Don Mario Faella! The opinion of our customers has always been the lifeblood for going forward and still improve. and I hope to continue to be consumer .. and of our quality sponsor. The stay in NY was great, but unfortunately, as always, very short. Well…. i dont understand. Why are you getting this IGP if you are using wheat from other countries? I thought something like that was given because you were growing and using wheat… at LEAST only from Italy. San Marzano tomatoes are grown ONLY in a particular area. If they were to grow San Marzano tomatoes in other area’s….. they wouldnt be actual San Marzano tomatoes ! So? why is it that you can bring in foreign wheat and and have this distinction given to you? it would be like someone bringing in tomatoes from somewhere else and processing them in San Marzano…. and calling them San Marzano tomatoes. Sorry…. but i had to ask you this because i am confused. must distinguish between the various brands of quality and protection, S. Marzano is a DOP and therefore identifies an ‘area of ​​production of a tomato with certain characteristics. the IGP Gragnano identifies a paste made ​​according to the dictates (a specification) in a manner, certain times and places of production. Wheat mostly Italian (from Puglia), the minimum foreign, with strict control of origin and quality from source to our stores.